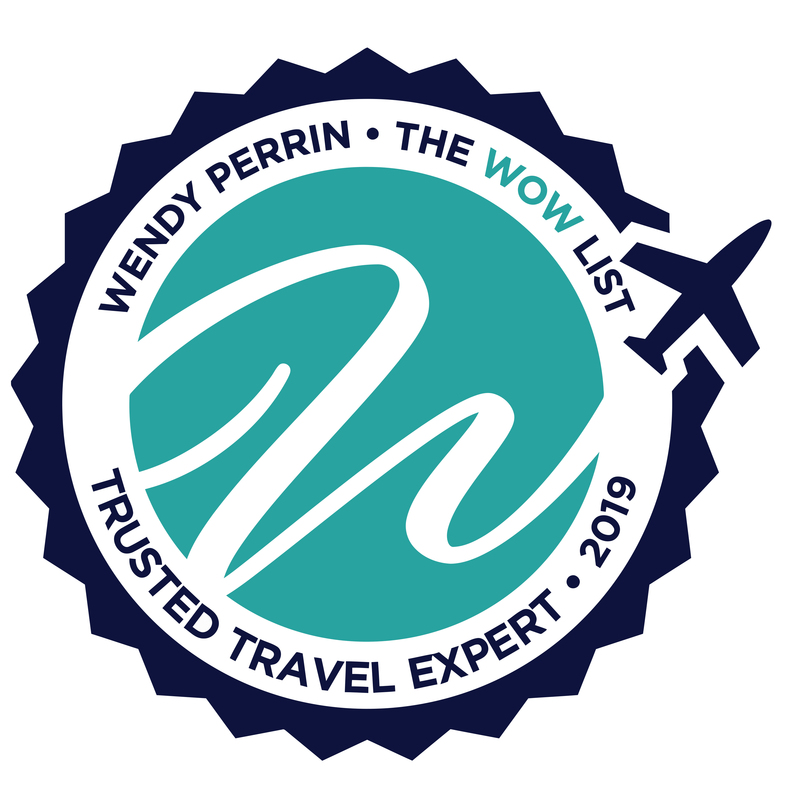 Madelyn Byrne is on Wendy’s WOW List of Trusted Travel Experts for her expertise and connections as regards London and Paris apartment rentals. The reviews below are from real travelers who’ve taken trips that were arranged by Madelyn and monitored by Wendy. Don’t miss Madelyn’s Insider’s Guides to London Vacation Rentals and Paris Apartment Rentals. We traveled to London the first week of January and rented a flat in the Kensington area through Madelyn and her team. We give them a very high rating on all aspects of our experience with them. The flat is on a wonderful, quiet residential street, with neighborhood stores and restaurants nearby. Also close to Kensington Gardens/Hyde Park, which was nice. The flat itself was exactly as promised, and was well furnished, including starter supplies of a few important food and cleaning items. Moreover, Madelyn’s staff were friendly and responsive to questions and the couple of minor glitches along the way. They made our stay stress and hassle free. I cannot give Madelyn and her team more accolades. From our initial inquiry through our departure, working with them was extremely efficient and professional. It was particularly nice to have our driver at the airport and our greeter at the flat, despite our flight arriving in London over 4 hours late. The flat itself was wonderful and was furnished with everything necessary (plus more) to make our stay pleasant. I would not hesitate to recommend Madelyn and will certainly use them again when the occasion arises. We want to thank Wendy for putting us in touch with Madelyn Byrne and her team. We rented the Middleton House for 10 days and it met all our expectations and more. Ellen and Sax took very good care of us, answered all our questions promptly, gave us great suggestions and were very welcoming. Our house was pretty and comfortable and in a great location. This was a special trip for our family. Thank you for helping make it so enjoyable. A lovely, very French apartment in a quiet residential area with a view of the Eiffel Tower peeking over the rooftops (including the nightly light show). Shops and restaurants along Rue Saint-Dominique and near Rue Cler. We lived like locals for a week doing laundry, shopping for fruit, and eating at our Italian place around the corner. We were 2 families, totaling 9 adults traveling to Paris. Most had never been to Paris. Madelyn was easy to contact and communication thru email was excellent. We were able to book 2 apartments very close to together to accommodate both families. Both apartments were great with wonderful space. Location rue Cler which was near everything and included a market with fresh everything, fish, meat, fruit, wine, vegetables, flowers, ice cream, and macaroons. Multiple bistros on rue Cler and bakeries nearby. Walking distance to Eiffel tower and near a metro station. She sent a ton of info which made everything easy to plan. The microwave in our apartment was not working. I talked to the Paris office and they said a replacement was on order but would not arrive prior to our departure. On returning home, I received an email stating a small refund would be sent for the inconvenience! Such a pleasant surprise and so unusual. I definitely would use Madelyn again. Madelyn Byrne and her team provided us with a wonderful apartment during our stay in London. They were able to accommodate our early arrival and request for a late check-out. They were quick to respond via email with our questions and helped us find some great kid-friendly places to eat. The location of the apartment was ideal: close to the tube station, Hyde Park, and grocery stores. I would certainly use this company again! We used Madelyn and her team last spring for our trip to Paris and had an absolutely perfect trip so this year when we were planning our trip to London we reached out to her again. Although she does not have the same trip planning services that they have in Paris we were able to book a perfect flat in Notting Hill area of London. The apartment was well appointed and her staff were there to greet us when we arrived with a tour of the apartment and also to help with any problems during our stay. They also go the extra mile and provide some essentials in the kitchen. In addition, I reached out directly to Madelyn when I realized they did not have tour services and she was able to give me advice on planning and my itinerary. She could not have been nicer. I would not hesitate to use their services in London when I return. We were very impressed with the options for a rental in London and got a great place that fit our family and had a great location. The booking and arrangement process was easy and there was excellent communication and follow-through during the whole process. The driver met us at the airport without issue, let us into the flat, and we were ready to go. We would definitely book through this company again. Our recent family trip to London using Madelyn and her team got off to an interesting start. After arriving and having to wait an hour and a half to get through Passport Control we made it into the arrivals area and started to look for the driver with our name on it. After walking around the arrivals area we soon realized there was no driver there for us. Fortunately a quick call to Lushi he was very apologetic and quickly summoned one of his drivers to pick us up at the airport. The driver took us to the mews flat we had for the week and it was beyond our expectations. My whole family really enjoyed the accommodations provided. The location in Kensington was very convenient. Madelyn and her team arranged for a chef to come to our flat one night to prepare a meal for us. It was one of our highlights. Our week in London flew by. We used Lushi Chauffeurs to take us back to the airport. They arrived to pick us up on time and we had an enjoyable ride to the airport. Madelyn’s team was very responsive to any questions I had and provided me with lots of useful information. We would not hesitate to use them again. Madelyn and her team are just that .. Perfect. This was a very difficult trip to plan for many factors, we only gave them a couple of weeks to plan , 9 people coming and going at different stages, traveling with a 6-year-old, the busiest season in Paris, changes to the itinerary and/or restaurants on a daily basis and they truly outperform all my expectations. They always responded and solve any changes in 6 hours or less, they got us to the best places ( try booking Septime, Paul Bert, Chez Dumonet for 9 in July ) they got us the tour guide we wanted, the cooking classes at the times we needed. The apartment search was truly amazing, we wanted great views and close to a soccer facility ( for my 6-year-old son ), the apartment they got us, you literally open the window and you could almost touch the Tour Eiffel and the soccer field was across the street. This just shows that they pay attention and make it happened. I have nothing but praise and thanks to Madelyn and her team, they truly made the two weeks we spend in Paris a WOW Moment. You could literally ask for anything and they found a way. My trip was in July and we spend two weeks in Paris and two weeks in the rest of France. The apartment was very nice and great location. Any minor hiccups we had were solved right away. We had to change our dates and they were very helpful to accommodate. We traveled to Paris to get the real feel of living there from 27 May through 24 June 2017. We wanted an apartment and Paris Perfect, Madelyn (Maddy) Byrne Willems, was up to the task. We had experienced a loss of what we thought was the perfect apartment a month before our travel date, leaving us without accommodations for four weeks. Wendy gave us Madelyn’s information and she stepped right in and found us a beautiful apartment with all the amenities we were looking for. It wasn’t in the Arrondissement we originally wanted, but with only a couple of weeks to plan she came through with the 16th which was a great alternative. The wonderful part of Madelyn is that not only does she help you find the perfect apartment, but she also has a team to help with tours and most anything you need while in Paris. We definitely would use Maddy and her team again. Next time we will go straight to her earlier so we will have a larger choice of the apartments she manages. Madelyn and her team made everything so easy! All of their apartments looked fabulous and the one we chose—the Clairette—certainly was. I thought it would be nice to have a view of the Eiffel Tower, as suggested by an article by Wendy that I read, and in reality, it was so delightful to wake up and see each morning and say goodnight to each evening. Our apartment also had a really nice, spacious shower, A/C, and a washer and dryer, all of which made the 98 degree heat wave we experienced in Paris much more bearable. The location couldn’t be beat—within two blocks were at least two each of boucheries, patisseries, boulangeries, and chocolatiers—and thanks to Maddy’s neighborhood guide we had suggestions in where to hit for what. We could walk to the Metro, the Eiffel Tower, and the Seine. We also highly recommend making your life easy and clicking through her menu of choices. With four of us it made sense to have a wifi hotspot and why hunt it down at the airport when for a discounted price your greeter can hand it to you at your apartment when you arrive. Same with your museum pass, Seine boat ride tickets, and Metro cards. We also booked a Versailles bike tour through Maddy — for the same price as Viator and others — and she set us up with a company walking distance from the apt on the day of the special food markets in Versailles and we got the veteran guide Frazor who was the best tour guide we’ve ever had. My family is still doing Frazor impressions. We also booked a photo shoot through Maddy’s staff and now have gorgeous photos of all four of us and our girls at ages 13 and 16 for the same price as a photographer in SF. That package promised a little tour guiding Ali G with the photos, but our photographer wasn’t super at history or Paris facts. All in all I can’t recommend Maddy’s staff highly enough. We never waited more than an hour for a response while planning. They make Paris EASY and delightful. Their apts were comparable in price to Airbnb but I think much better, as they are set up for vacationers – even full of Paris DVDs and 20+ Paris and France guidebooks. Plus you’ve got a staff in Paris you can call about anything – free landline calls to them and to the US. Maddy and her staff gave thought of everything you need to be perfectly set up just to enjoy your vacation! We returned from a family trip to Paris the first week in March. While the weather was anything but cooperative, every other aspect of our trip was flawless. We travelled with our two daughters ages 11 and 12 and developed a perfect itinerary with the help of Madelyn’s team. We had a lovely apartment, equipped with everything we needed, in a very safe neighborhood with a picture perfect view of the Eiffel Tower out our living room window. We were able to shop for breakfast each morning at the neighborhood bakery and get staples from the many local food shops. We were met at the apartment on check-in and provided a packet with detailed information and tickets, passes, and Metro options for each days’ activities. We worked with them diligently for the two months before arrival and they did a fantastic job organizing an itinerary that was engaging to both our girls and my husband and me. We learned to make perfume, baked baguettes, biked through the gardens of Versailles, had a private guide to take us to the Louvre and Notre Dame, trip up to the top of the Effiel Tower, visit to Arch de Triomphe, explored the many varied neighborhoods of Paris, cruised down the Seine, and the highlight was a birthday carriage ride through the streets of Paris on my 11 yr old’s b’day. She looked like Cinderella in a gorgeous white carriage with people taking pictures of us on every corner. My family rated the trip a 9.5 out of 10 with the only negative being the weather!! I would tell anyone booking a trip to Paris to contact Madelyn. You cannot ask for a better team to put together a fabulous trip from lodging, restaurant reservations, passes, private tour guides and activities. All well organized and thoughtfully prepared. Let me just say, EVERY aspect of this vacation — from pre-stay communications, during the stay, and post-stay — lived up to the Paris Perfect name! The arrival packet: Wow! Great information! I love how they split up the packets into two—one for the entire city and another just for the neighborhood. We also appreciated the personal comments on many of the restaurant recommendations; this helped us sift through the many choices in the area and, might I say, they were all great recommendations! The apartment: This place was amazing. This was the best use of space I have ever seen. I loved that they had American-style bottom and top sheets (I get hot when I sleep and like to just use the top sheet–so many European accommodations do not use top sheets). Also, we had THE largest bath towels ever! Even some of the finest hotels have smaller, skimpy towels. And Madelyn provided face cloths too! OMG! You NEVER find them in Europe. I usually pack my own when traveling to Europe. Excursions and reservations: The process for making all the reservations were phenomenal. The Paris Perfect Team: Fantastic and attentive! Madelyn’s team is the epitome of her brand. They really want to make everything perfect. Whatever Madelyn is doing to keep them happy and loving their jobs, keep it up. Their responses and response times were fantastic. So much of a company can be judged by the people. They represent Paris Perfect in such a positive light. Thanks to all for such a memorable trip; everything was fantastic! We look forward to coming back. P.S. I have already recommended Madelyn to a bunch of our friends. Wendy referred us to Madelyn Byrne Willems (London Perfect & Paris Perfect) for our vacation to London and Paris. We just returned (May 2016) and I would have to say this was the BEST vacation our family has ever experienced. The choices of the apartments available were just outstanding as was working with Lizani for our daily itinerary. Her recommended guides and reservations ensured we experienced the best of both cities. My family and I highly recommend Madelyn and her staff. Our stay was wonderful. Beautiful house, great location, everything was as stated, smooth, and helped make our stay truly easy and memorable. The staff was very responsive while we were there as well. We spent our last night in London at a hotel – because the Victoria was not available our final night – and although the hotel was great and Madelyn helped us arrange it – it really brought home to us how wonderful it is to stay in a home. Having a kitchen, a place to spread out, etc. are such a luxury and so wonderful. We did wish the Victoria had a TV in the down stairs living room rather than in some of the bedrooms – we are more communal TV watchers and it would have been nice to watch some local TV together – but that is so minor compared to all the many wonderful aspect of our stay.